UPDATE Jan. 06 2018: The screen is now available in portrait orientation, as well as its original landscape format. Both versions are included in the .zip file, along with a new portrait .docx file for you to customize. This is a four panel DM screen for 5th edition D&D. I designed this screen for use in my own games, keeping in mind the things that I specifically need quick access to or am constantly forgetting. I’m releasing it here in case other people have similar needs as me and have found themselves unsatisfied with other available screens. If you find this useful, please consider supporting me by re-purchasing the screen and leaving a donation. Page 1: Actions in Combat, Advancement, Conditions, Cover, Donning & Doffing Armor, Exhaustion, Stealth, Resting, and Travel Pace. Page 2: Stat tracker for up to 8 players, Area of Effect Calculator, Common Advantage and Disadvantage scenarios, Death & Dying, Spellcasting cheat-sheet, and Vision. Page 3: Abilities and Skills, Container Capacity, Environment Hazards, Food & Lodging, Harnesses & Tack, Lifestyle Expenses, Mounts, Services, Special Movement, and Vehicles. Page 4: Creature Stats by Challenge Rating, Encounter Exp. Thresholds and Multipliers, Mob Attacks, Improvised Damage, Random Feature Table, and Size Categories. This zip file includes a color PDF, black-and-white PDF, and a .docx file so that you can customize my layout to suit your needs. The .docx file does not include the parchment background, as that asset is taken from the Creator’s Parchment Paper Background Kit by Arcana Games. Fonts used are Andada SC Bold and Tex Gyre Bonum Regular, both available for free. 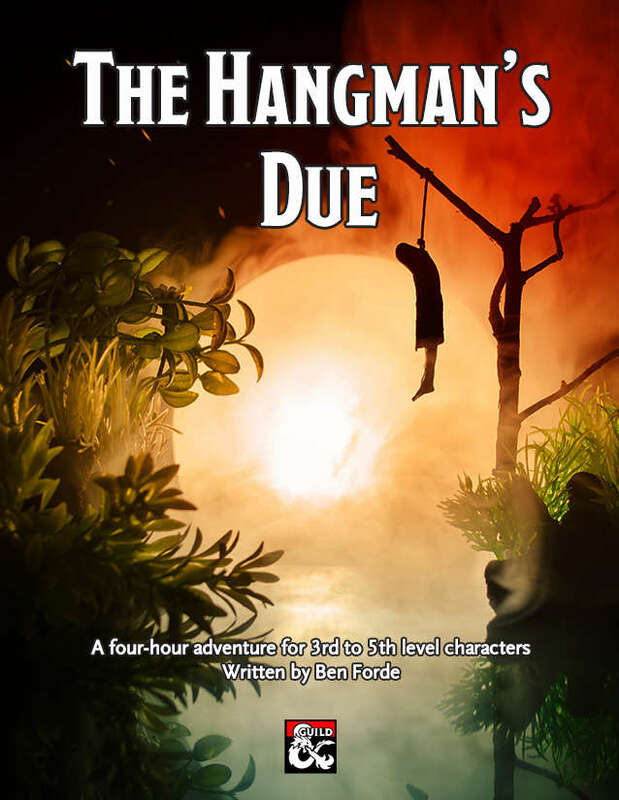 While you're here, why not check out my first published adventure? Material used from the Player’s Handbook, Dungeon Master’s Guide, Monster Manual, and Character Sheet. v.1.01: Corrected typos and inconsistencies. v.1.02: Added a sentence clarifying Prone condition. Added notes on adjusting offensive and defensive challenge ratings. v.1.04: Added portrait version of the screen. Clarified spellcasting rules. Fixed a minor table alignment issue. I really like your screen and it helped me a lot. Especially useful is that you included a docx file for every variation of your screen as I personally don't like to have my players stats on my screen. This way I could add some extra information in place of these. But I've got a question to the "Random Feature Table" on the last page of the horizontal version. Are the page numbers referring to the PHB? Because I can't find any of the features if I look them up on the mentioned pages. Ok, nevermind. ^^ I figured it out. Hey, could I have a version which replaces to last page with a blank monster template(like a monster character sheet)? I doubt I'm going to be constructing monsters on the fly! Looks like a great tool, personally I have These compact character sheets which I usually put in there, at the start of a campaign at least, but I will definitely try this. Beautiful. All the useful references, well arranged, and with an attractive yet simple and easy-to-ready style. The target must be no more than one size larger than you and must be within your reach. Instead of making an attack roll, you make a Strength (Athletics) check contested by the target's Strength (Athletics) or Dexterity (Acrobatics) check (the target chooses the ability to use). If you win the contest, you either knock the target prone or push it 5 feet away from you." That sentence about moving to another space within 5 feet of you is from the DMG. Now that I look at it I'm not totally sure where the 10 foot shove on the screen came from, so thanks for pointing that out. Should be fixed now. Thanks for the quick reply. Gotcha you must be speaking of the Shove Aside feature. I missed that one, righto. With this option, a creature uses the special shove attack from the Player’s Handbook to force a target to the side, rather than away. The attacker has disadvantage on its Strength (Athletics) check when it does so. If that check is successful, the attacker moves the target 5 feet to a different space within its reach." Lots of great info! I just wish the font was more legible. I went through and changed all of the small cursive to more average vision friendly. Issue with the Dodge Action description: It says "if you have movement remaining..." Based on the Dodge action in the PHB (p. 192), there is no requirement that a character has "movement remaining" in order to take the dodge action. Whoops, thanks for catching that. That was a bad way of phrasing "if your speed drops to zero." Fixed in latest version. 4th page of black and white variant has background in the current version, which it feels like shouldn't be there. May I ask for a fix? Other than that, amazing stuff, everything is useful and easy to find. Oops! Should be fixed now, sorry about that. Thanks for the heads up! Really great product! Lots of useful stuff on here. Any chance we could get a vertical-orientation of the inserts? Would love to put these in my DM screen. For 2018, I've updated the .zip file with an all-new vertical orientation version of the screen. Enjoy! It won't work for me :( It says the files are corrupt. I'm sorry to hear that! Is it giving you an error when you try to open the zip file or on the PDF itself? For whatever reason, it's working now. I'm really enjoying it - it's super helpful! Thank you for sharing your wonderful DM screen! This has all of the stats that I am constantly forgetting. This will save the game pause while I look-up a situation that I don't have memorized! You're most welcome, glad you're finding it useful! Are you planning to make a living off of this, or is it fine if I take it for free? It's just a minor supplement, but it all goes straight to long-term savings. I'm graduating college in a few hours so if you want to throw me some cash that'd be great, but if you need it more than I do then absolutely take it for free. If you get it for free and like this screen, and find yourself in a prosperous enough position to throw me a buck or two later down the line, then that would also be appreciated. Making a note here or adding to the description of what the updates include would be most welcome. v.1.03: Removed the empty box on page 4 where you'd write down the XP threshold for your party, added HP multiplier for damage resistances and immunities. Nice! The real winner here for me is a screen with space for vital party stats (no longer sold separately). I'll be giving this a try for my next game.